Ever since the death of his father, Tanjirou has taken it upon himself to support his family. Although their lives may be hardened by tragedy, they’ve found happiness. 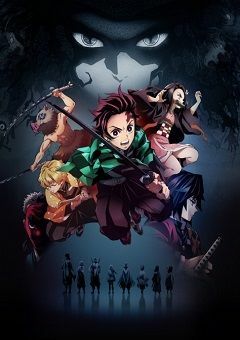 But that ephemeral warmth is shattered one day when Tanjirou finds his family slaughtered and the lone survivor, his sister Nezuko, turned into a demon. To his surprise, however, Nezuko still shows signs of human emotion and thought…Thus begins Tanjirou’s quest to fight demons and turn his sister human again.